During Holy Week our services lead us on a journey of faith. As true disciples of our living Lord we remember His journey to the cross and rejoice in celebrating His resurrection. We hope you will join us to prepare worship and celebrate this most special time of the Church year. Marking the start of Holy Week, Palm Sunday commemorates Christ’s triumphant arrival in Jerusalem to the cheers of the crowd. 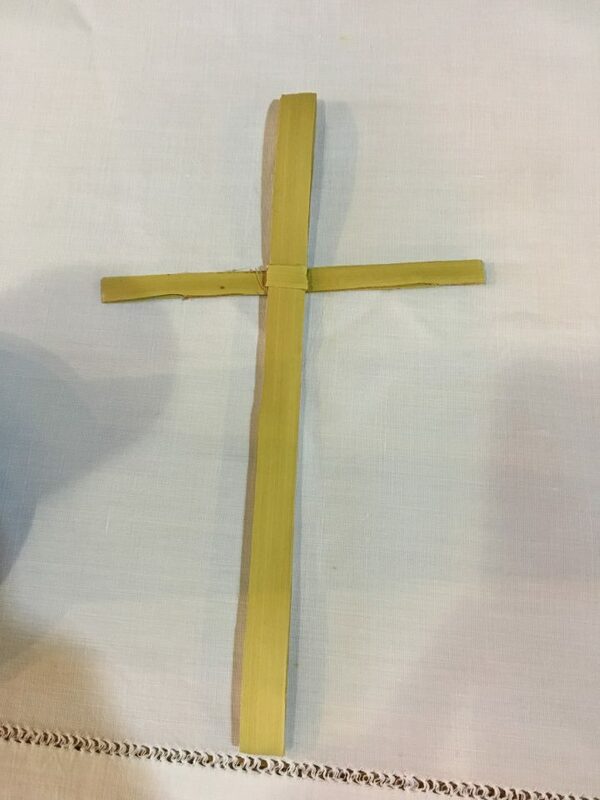 We begin our service by carrying palm crosses in procession from St. Lawrence’s to St Mary’s. Jesus shares bread and wine with his disciples at the last supper and goes to pray in the Garden of Gethsemane as they keep watch. At Dawn, Jesus is betrayed and the day’s prophesied events result in the horror of His death by Crucifixion. The disciples are confused and seem defeated, unaware of the events of the next day that would change their lives, and ours, for eternity. Mary Magdalen returns early to His tomb only to find it empty. A stranger comforts her and she brings the news that He is Risen! This mankind’s relationship with God is forever secured and our eternal life, assured. A traditional, yet joyful celebration of the resurrection. The Choir and Free Spirit, our music group, join us for a lively and joyful celebration of the resurrection which includes an Easter Bonnet competition for all ages!